Defying the law of gravity will be the highlight of your trip to Québec! 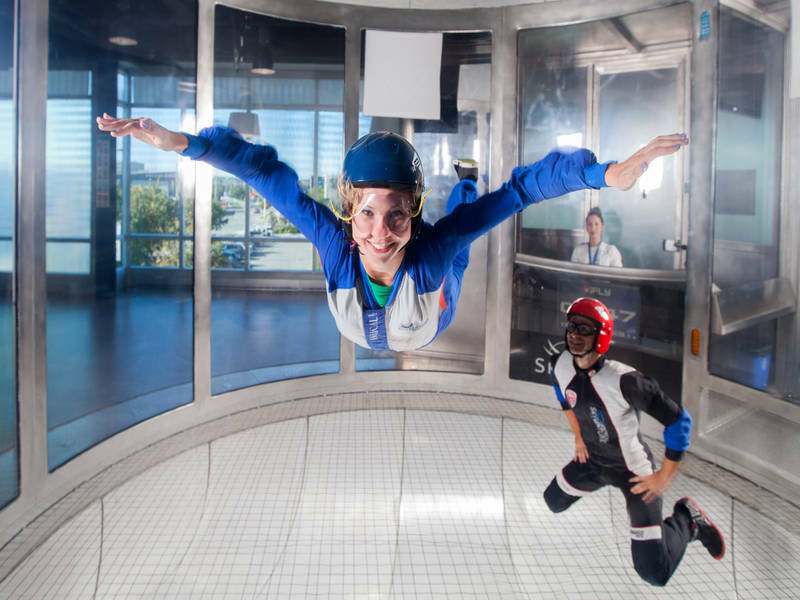 This indoor freefall simulator recreates the freefall portion of a skydive. Solo, with your family or among friends, enjoy a unique activity in a safe and supervised environment! Must be four years old or over.